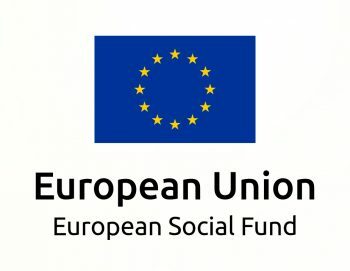 We invite you to apply for admission to our new unique specialties co-financed by means of European Union funds within POLCamp programme. International Education Offer of Vincent Pol University in Lublin. Courses/subjects in both programmes will be divided into core courses and special courses, whereas core courses will be conducted in two languages (Polish and English), special courses will be common for both language paths and conducted in English and Spanish/Mandarin. free-of-charge participation in two-week International Summer School (ISS) in September this year, which is aimed at enabling international students to study in Poland, and enabling students from Poland to study in international environment. ISS is the time for adaptation, integration and facilitation of various multi-cultural groups; classes which provide an overview of degree programmes and new specialties, creating favorable environment for employers; advancing knowledge of the region. classes conducted by lecturers, specialists from Poland and abroad, with considerable academic and didactic experience. English Philology is a specialty which allows not only for getting a fluent command of the language, but also for obtaining the knowledge of history and Anglo-Saxon, and, within the specialty, also Iberian or Chinese history and cultural background. Graduates of Bachelor degree in English Philology obtain a Bachelor of Arts degree in Philology. They obtain knowledge of history, literature, culture of countries from English, Spanish and Chinese language backgrounds, as well as theoretical knowledge in terms of literature and linguistics. Programme of studies allows for not only getting practical knowledge of a foreign language, but also getting familiar with its academic grammatical description, its use in belles-lettres and professional literature, as well as touring, social and cultural background. The programme of philological studies was prepared on the basis of modern educational concepts, preparing students for meeting the requirements of contemporary job market. Graduates obtain interdisciplinary qualifications allowing for using their knowledge in various areas of science and social life. Students who want to acquire teaching qualifications can attend pedagogical qualification studies along with their main programme of studies. Within that pedagogical qualification studies students complete a serial of pedagogical and methodological classes. Graduates are qualified for starting their employment in diplomatic posts, local government institutions and cultural facilities. Acquired philological skills will provide graduates with bases necessary to work in publishing houses, magazine editorial offices, media and companies dealing with Public Relations. Graduates can also find a job in primary and secondary schools, as well as institutions providing courses, in the position of translator, as well as tourist organizations. This degree programme provides students with comprehensive and practical knowledge of environmental, social, economic and organizational-legal issues, as well as practical skills necessary to start professional career in the field of tourism, recreation and hospitality. An interdisciplinary character of the programme allows for obtaining comprehensive knowledge of many areas, thanks to which our graduates becomes professionals in the field of tourism and recreation. The graduate is well-prepared for managing a business, taking actions in terms of analysis of tourist market, tourism development planning and creative solving of problems. Special attention is put on learning foreign languages and practical classes, which constitute the most significant element of verification of obtained theoretical knowledge. Graduates have a wide range of professional prospects at managerial and operational positions in travel agencies, hotels and catering facilities, sport and recreation centres, as well as in public administration, local government and social organizations. Furthermore, they are qualified for running their own business.